I came across the above photo on instagram while perusing @DameTraveler for my daily travel inspiration. 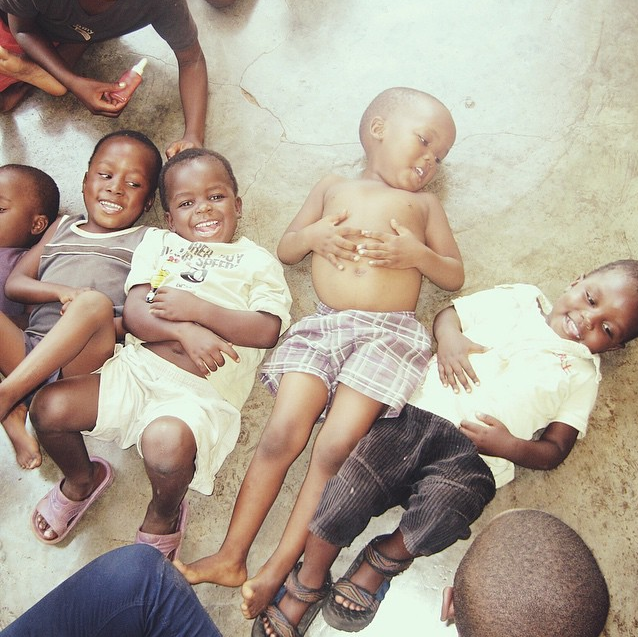 It’s a life and travel goal of mine to one day volunteer in a village in Africa. Wanting to learn more about the experience and hear about it from someone who had actually been there and done it, I reached out to the girl in the photo, Nicole, to ask her a few questions. I wanted to capture the spirit of volunteer travel from home. 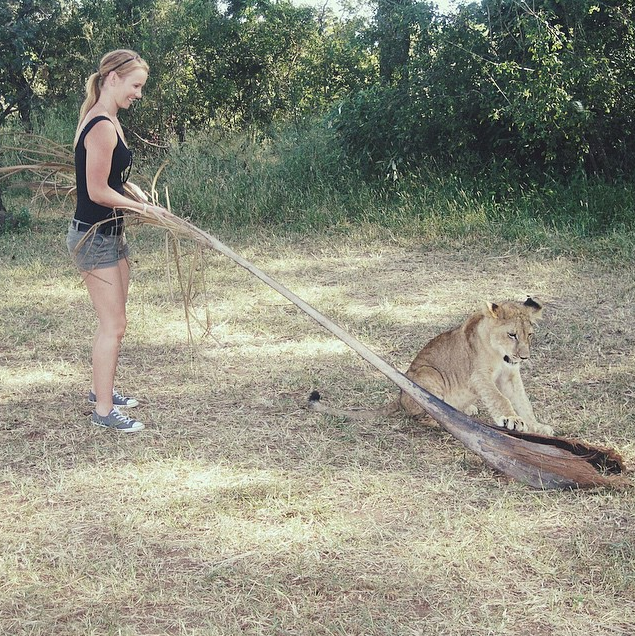 Nicole: My first visit to Africa was in 2008. I was travelling around the USA in April and made friends with some lovely South Africans who invited me to visit their home country. I arrived in South Africa in August and saw many cities and went on safari. I fell in love and went back to visit a second time in 2010. 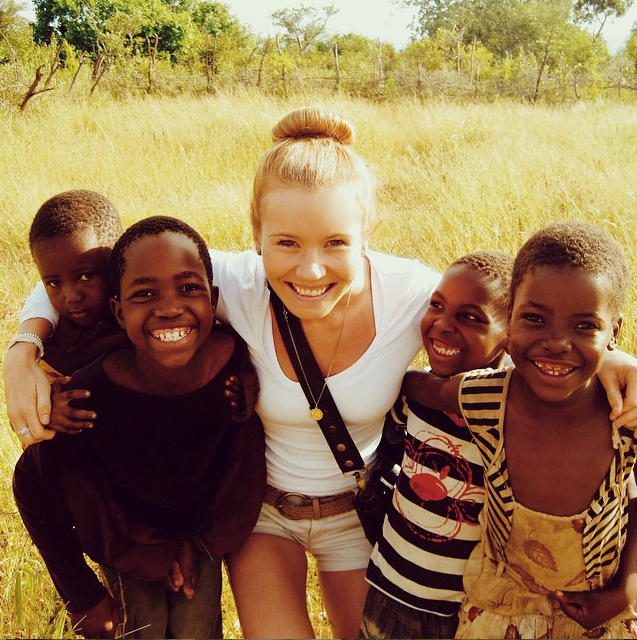 When planning my third trip to Africa in 2012 I felt I wanted to experience the continent in a different way than previous times. I began researching volunteer programs. I came across African Impact. 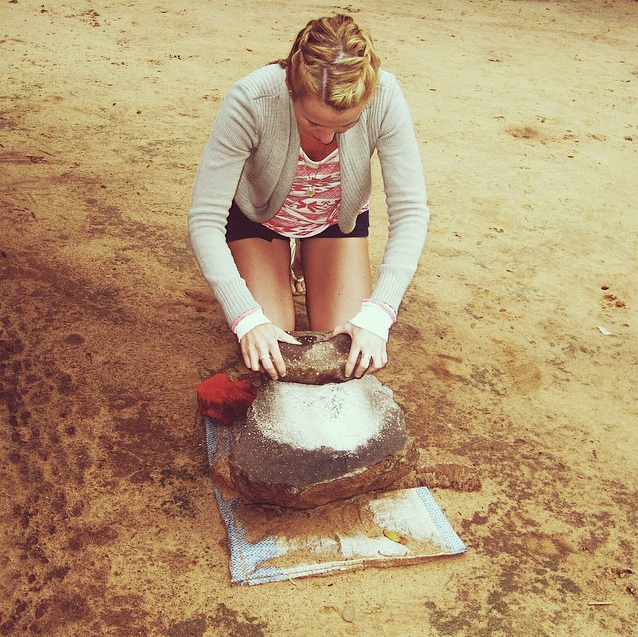 They seemed professional and safe for what I wanted as a lone volunteer traveller. 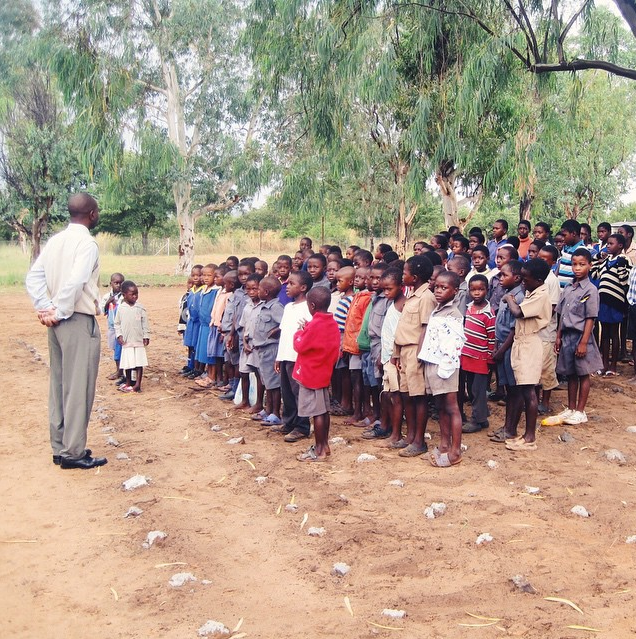 They offer several programs in different parts of Africa. 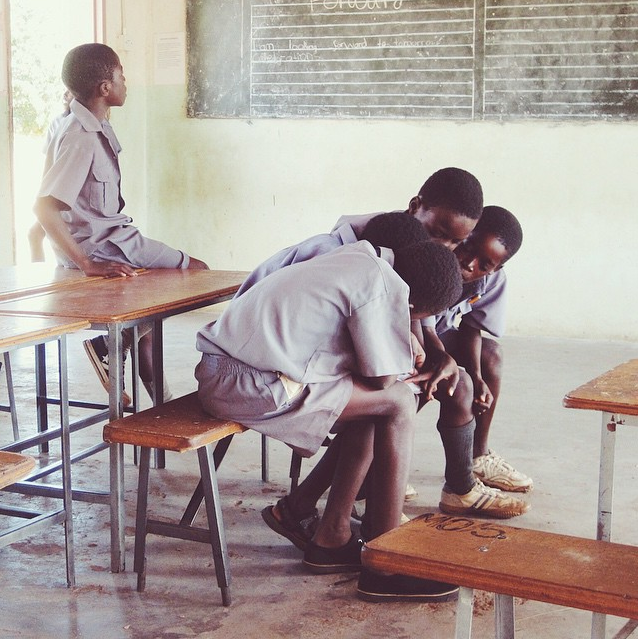 I found the perfect program for me which involved working with orphaned children, gardening and lion conservation at Victoria Falls, Zimbabwe. At times the program could be very hard work but we were always well fed as the local staff working on the programs cooked a variety of western and traditional meals. 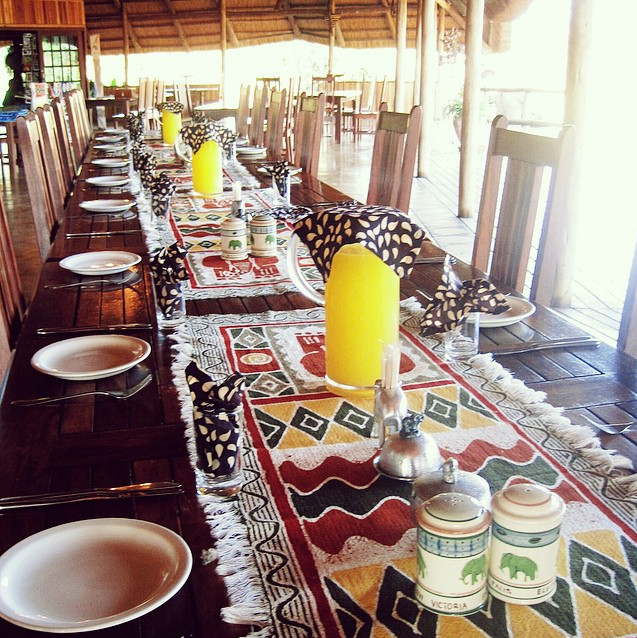 We had several opportunities to try the staple foods such as sadza + beans or sadza + meat. Sadza recipe is made from maize plants (cornmeal) that are farmed in the community ground and boiled to create a starch substance easily moulded and dipped into meat sauce or bean sauce. It looks like mashed potato but tastes more bland. 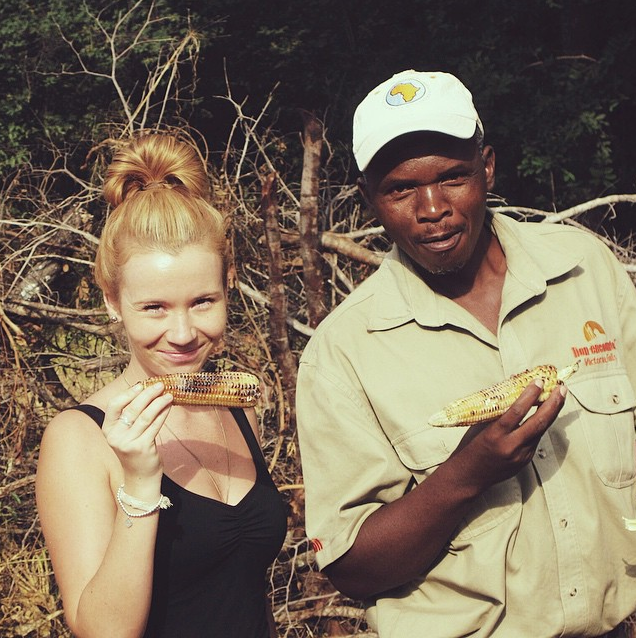 What was your most memorable meal in Zimbabwe? Being served pork with the hair of the pig still on the piece of meat. I wasn’t too fond of this. A good example of how spoiled we are as westerners. What is one lesson you learned during your time over there? I am not more fortunate than people living in third world countries. The more we have the more we want. People living a more simple life often smile more as they don’t need materialistic achievements to make them happy. Was there one particular lesson you think the children learned from you? I feel I got more out of the experience than the children did. Would you recommend other people get involved in this program? 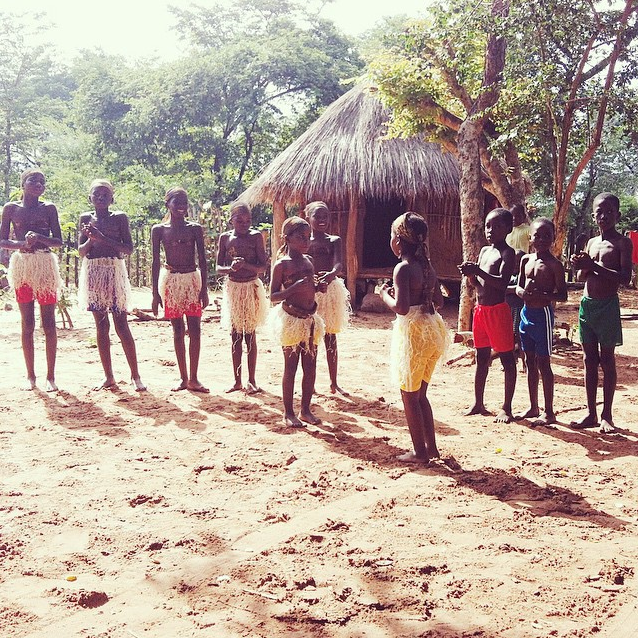 I recommend the African Impact programs for people that are solo traveling or inexperienced. Check out their website if you are interested in getting involved. I travel for life experience, fun, and education. I work very hard and try to leave my country 2-3 times per year. I am currently traveling around Vietnam for two weeks before heading home and then off again to Dubai, Istanbul, London, Norfolk, New York City and Playa del Carmen in August this year. 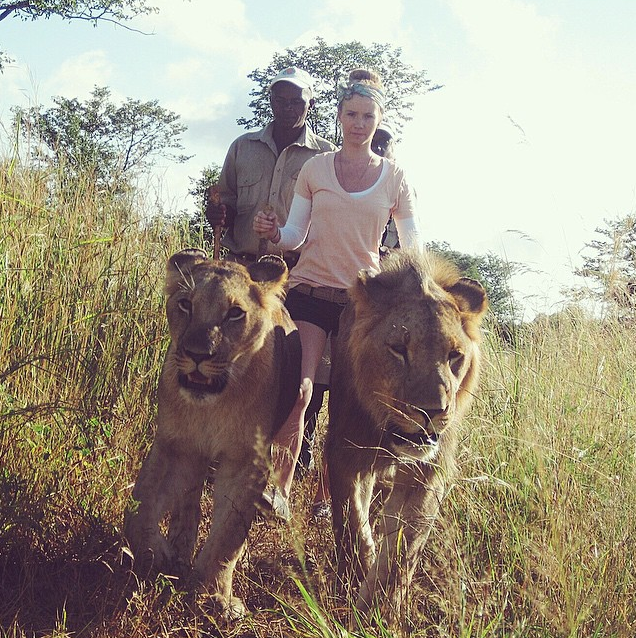 Nicole is a 29 year old Australian taking every opportunity to take adventures all over the world. She wants to know the people, eat the food, live their life a little and photograph every beautiful bit of it.